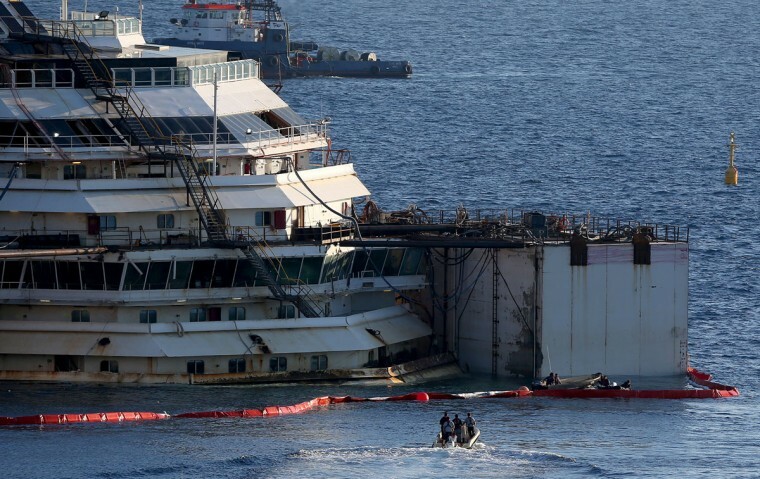 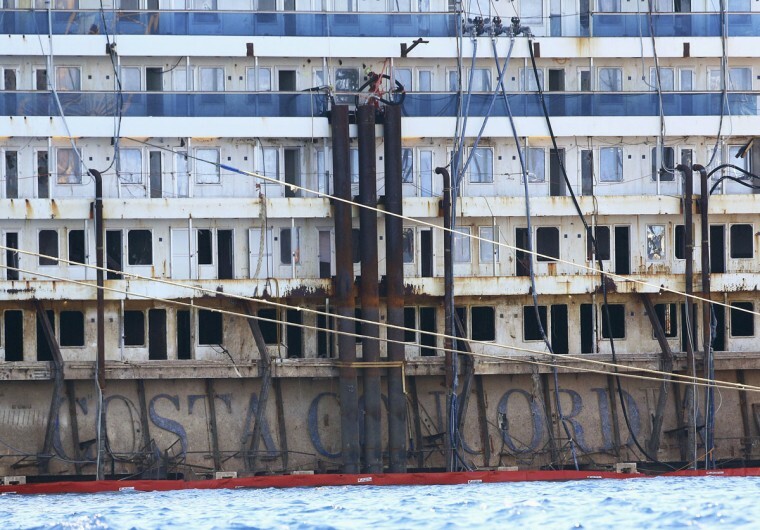 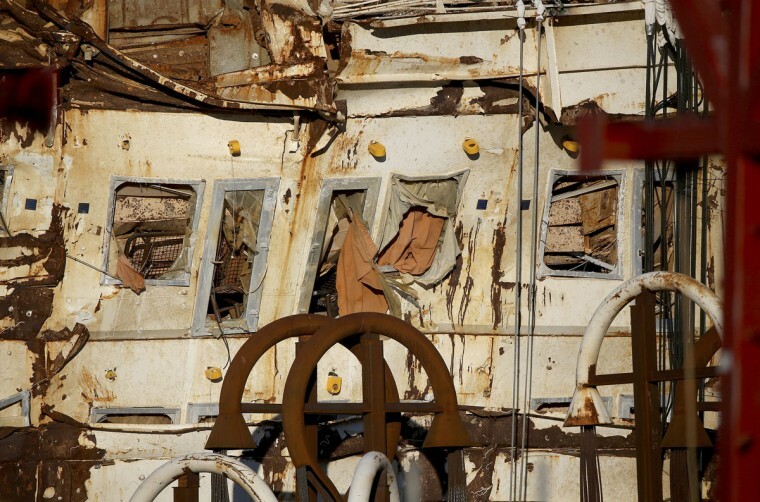 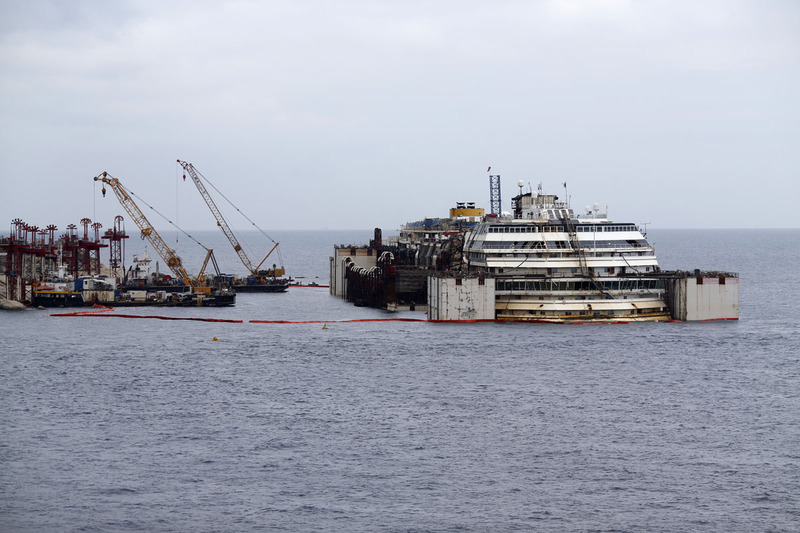 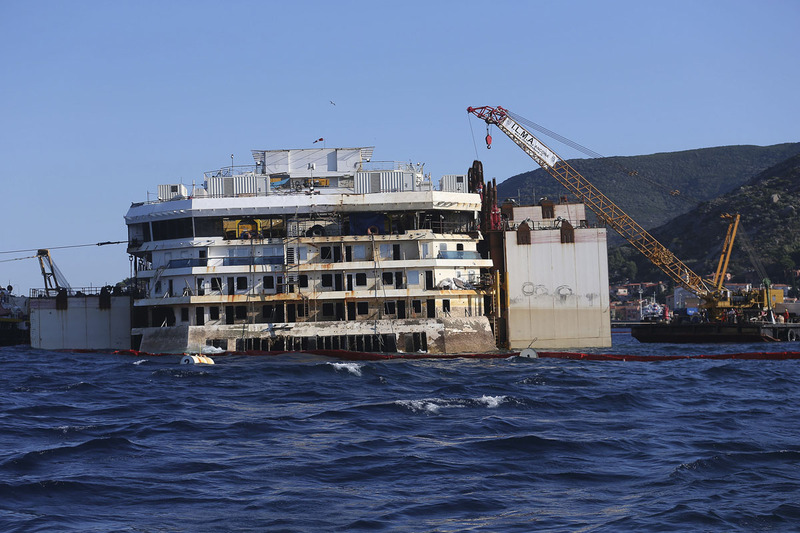 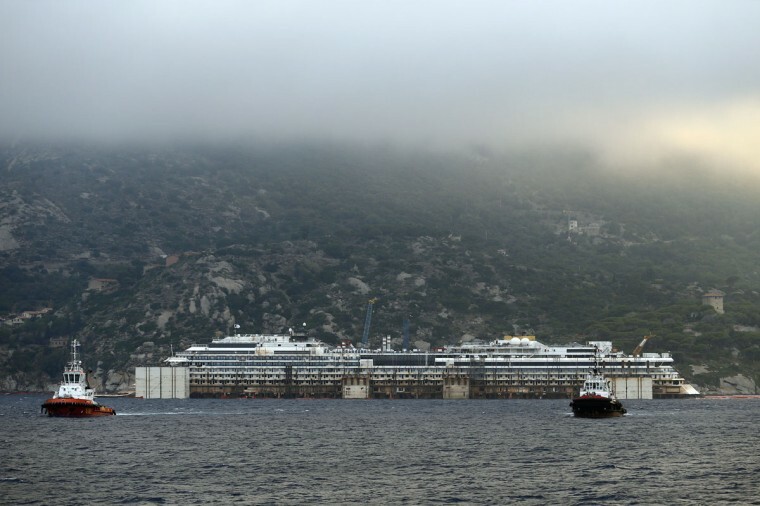 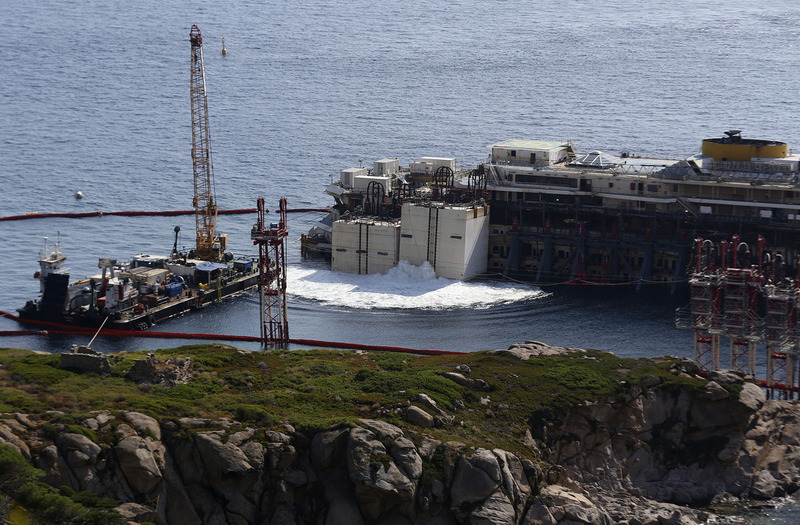 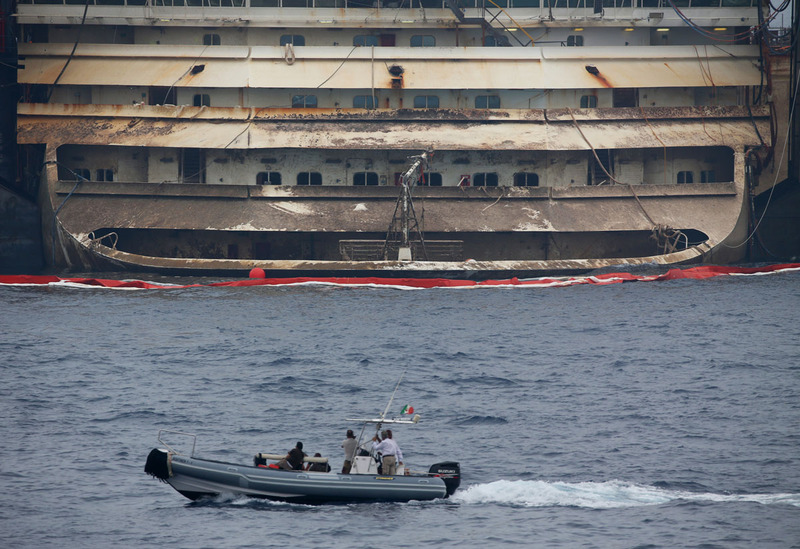 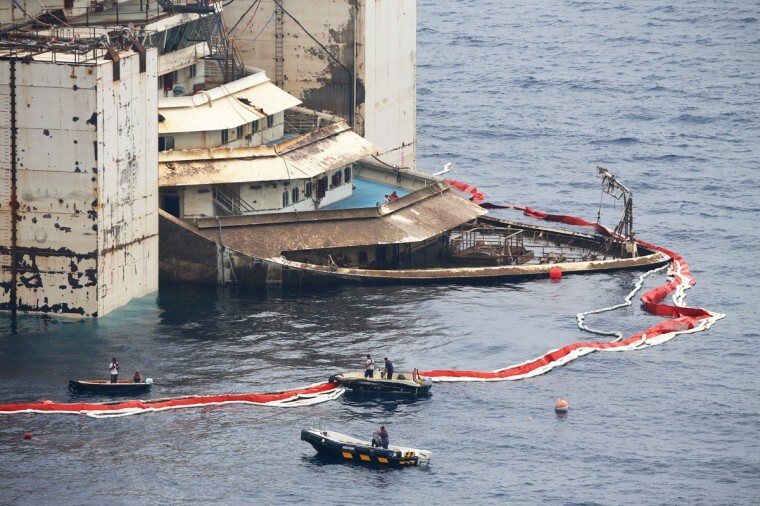 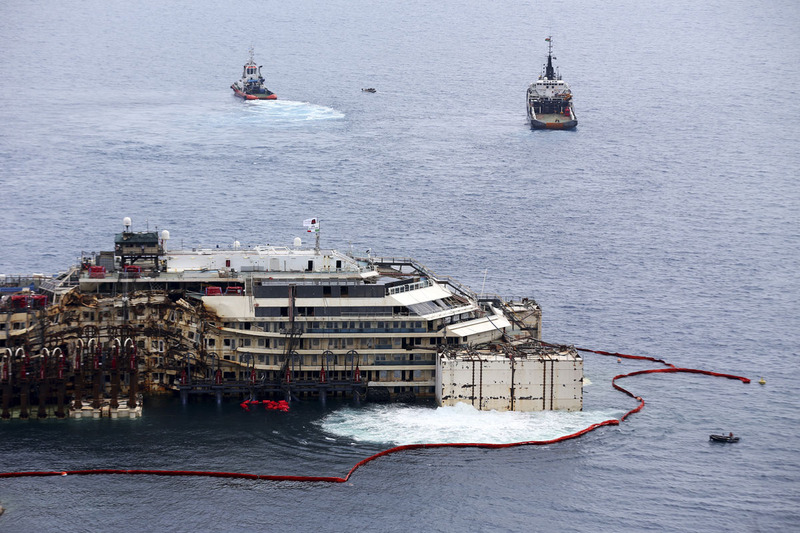 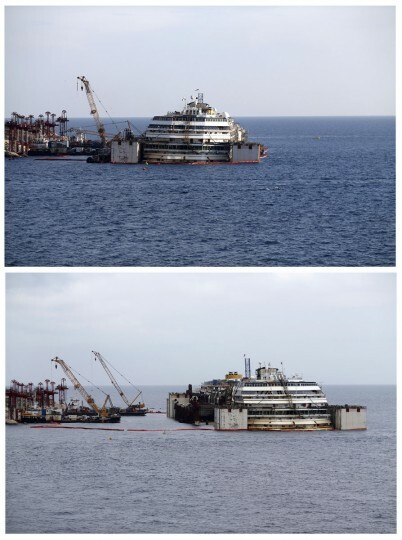 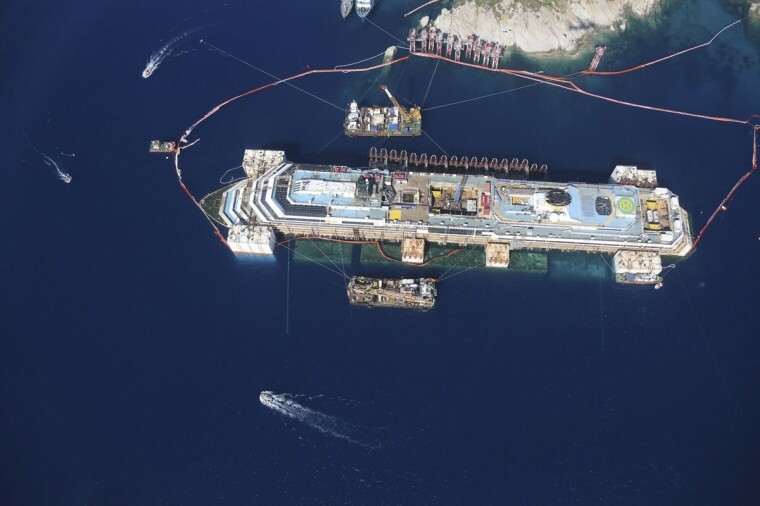 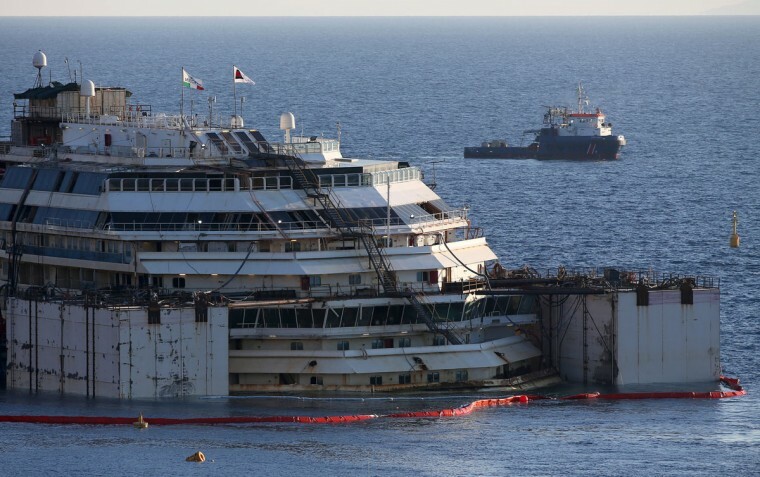 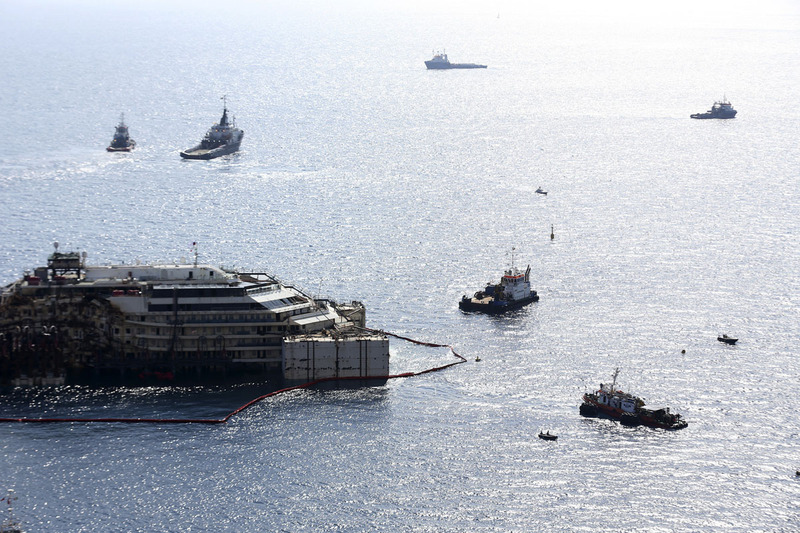 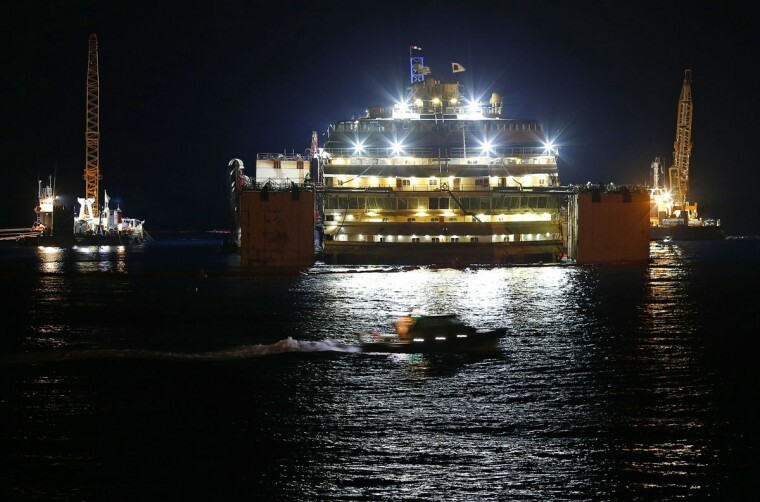 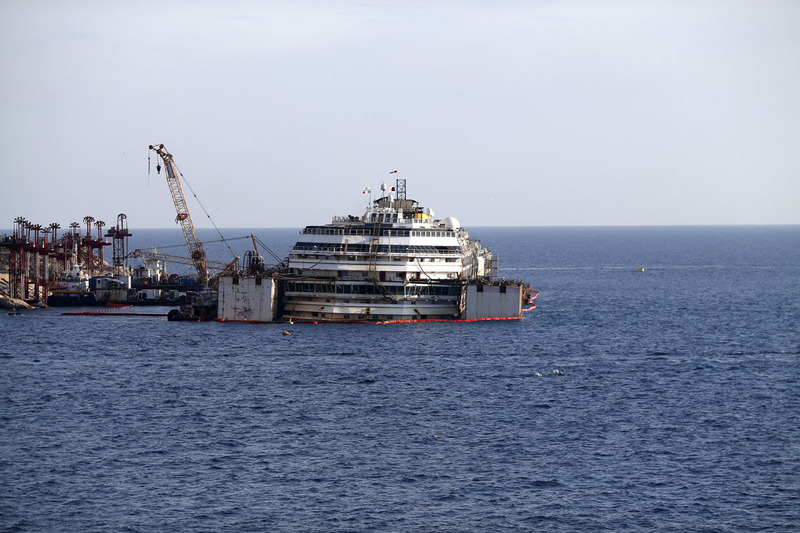 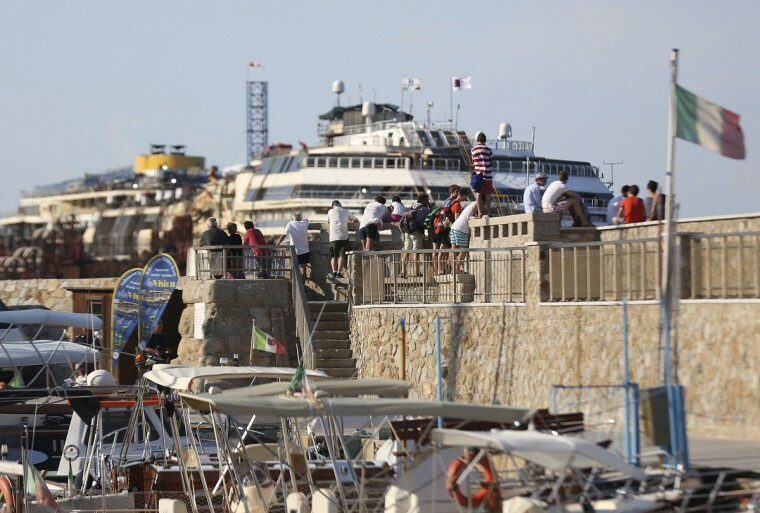 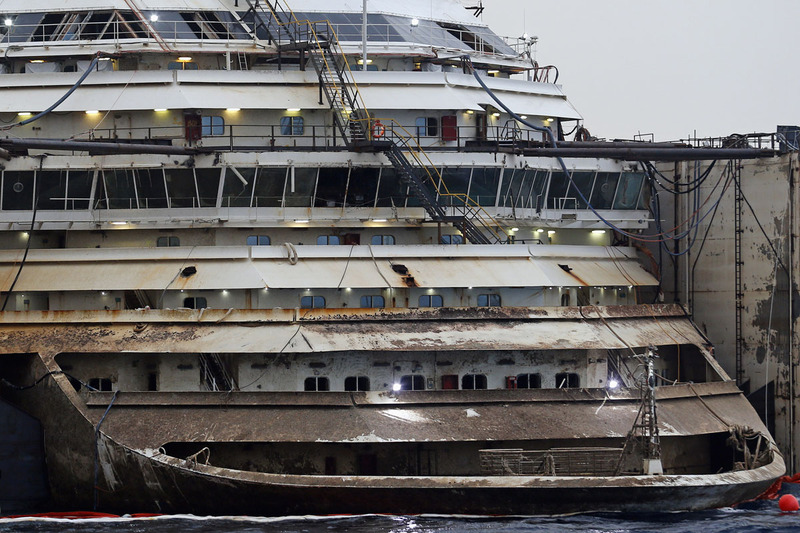 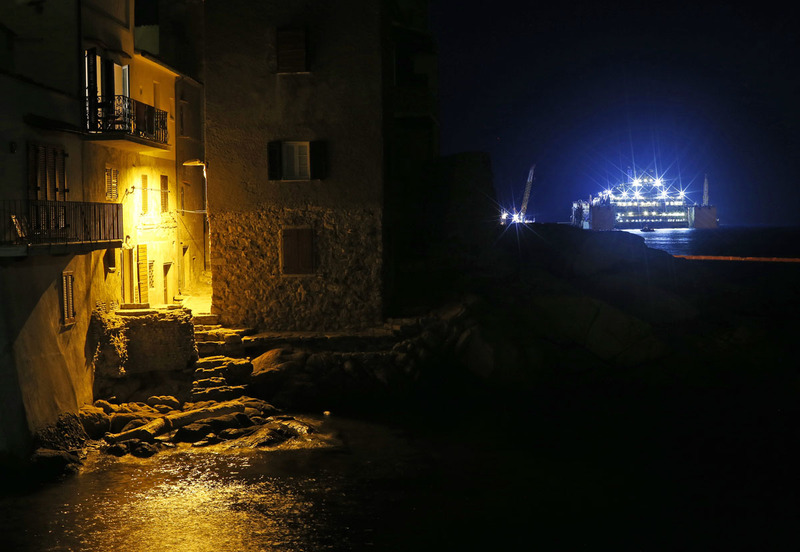 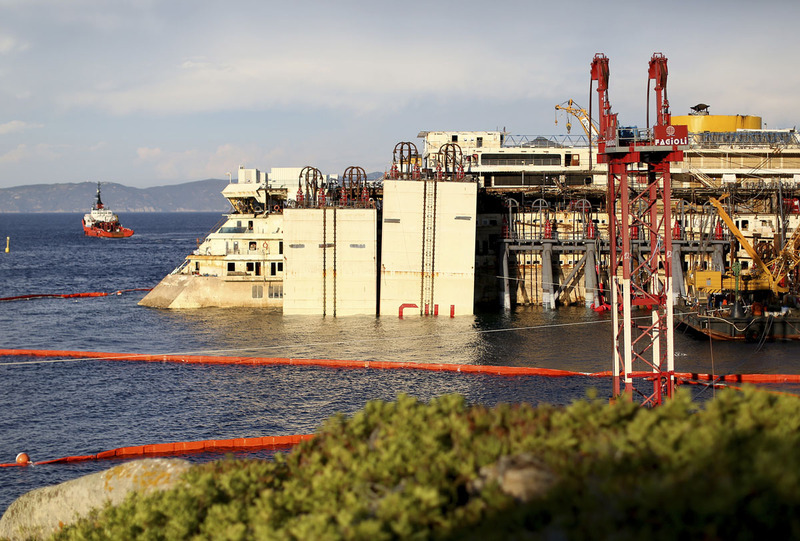 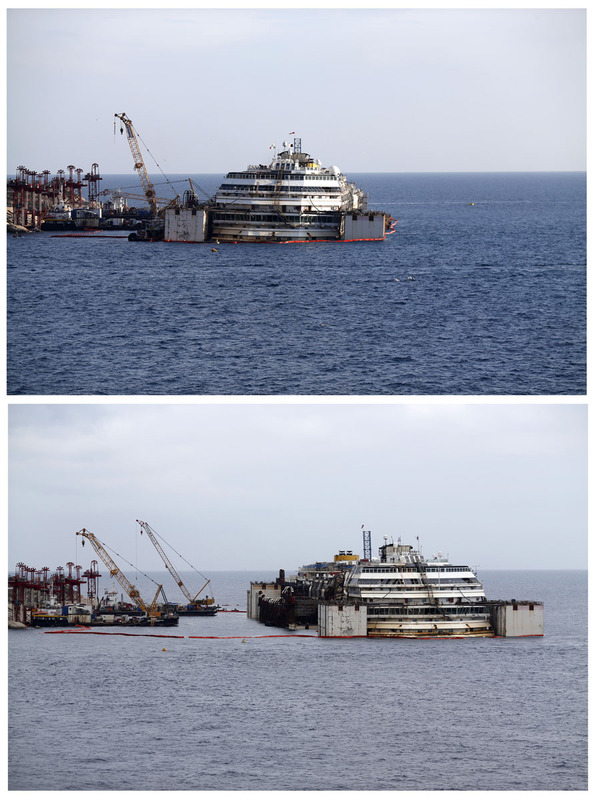 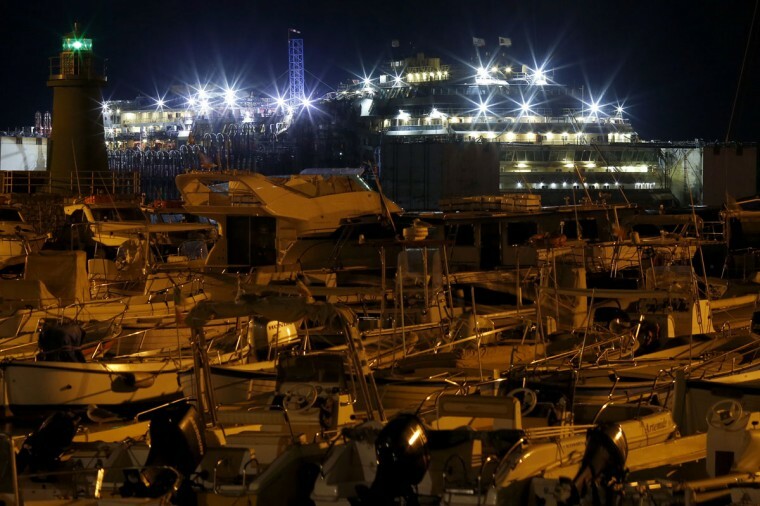 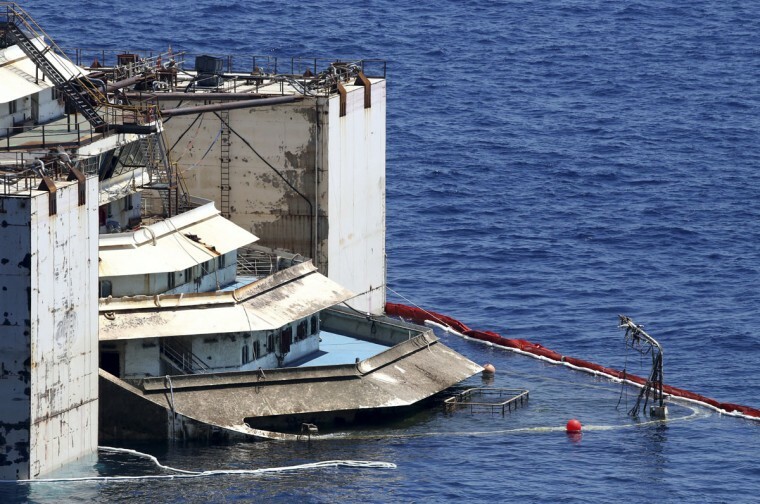 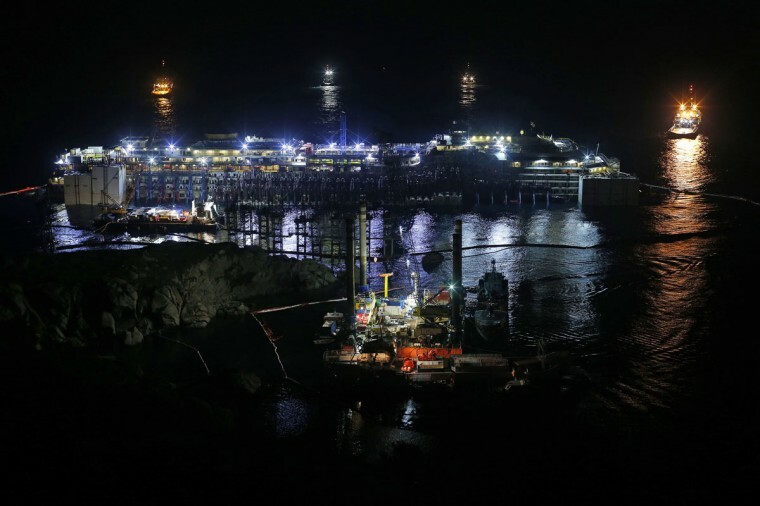 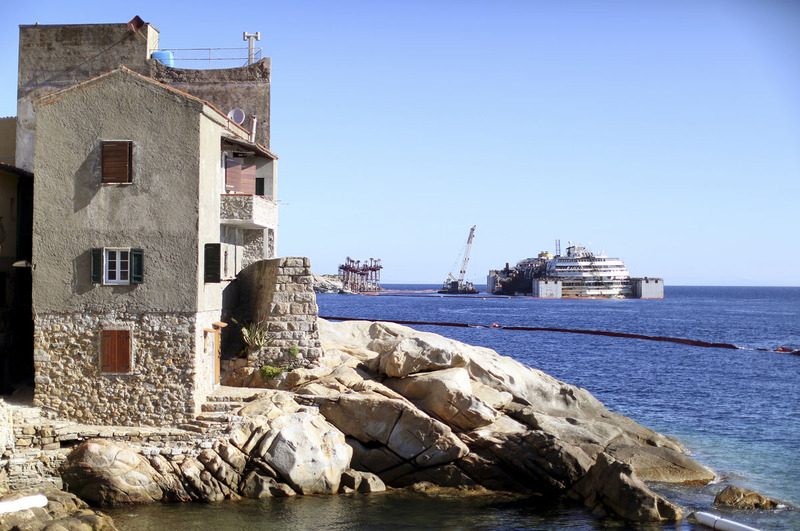 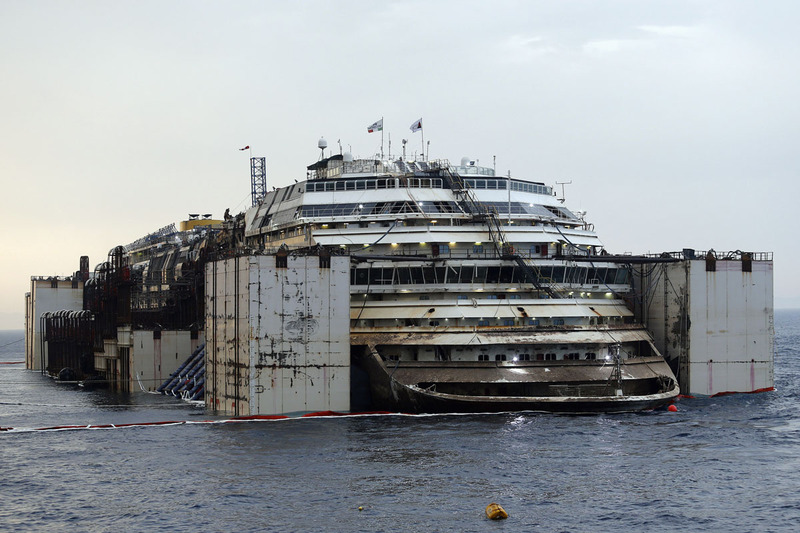 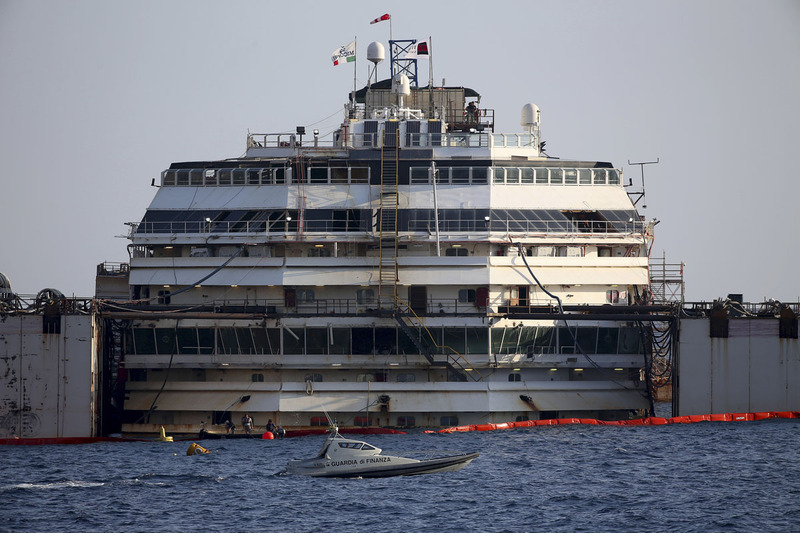 The massive hulk of the Costa Concordia is nearly ready to be towed away from the Italian island where it struck a rock and capsized two-and-a-half years ago, killing 32 people, officials said on Sunday. The rusting prow of the once-gleaming white luxury liner was due to emerge fully from the water for the first time on Sunday, and the ship should be ready to tow on Monday, but the departure has been pushed back a day due to forecasts of rough seas. 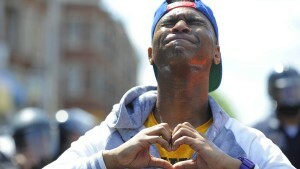 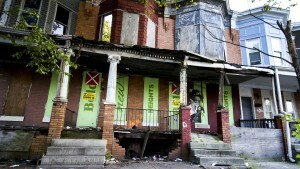 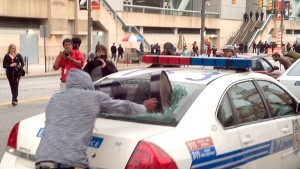 Photos and text by Reuters.